Fibroids are non-cancerous lumps found in and around the womb. These common growths normally cause no problems. 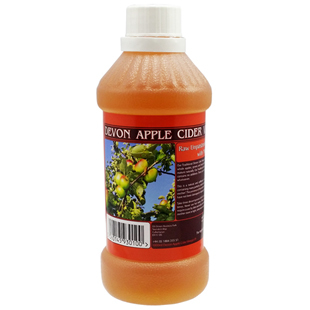 However, they can sometimes contribute to heavy periods and abdominal swelling as well as increased susceptibility to urinary tract infections (UTI's). The sizes of fibroids vary from person to person, but in extreme cases, they have been known to grow up to the size of a small melon! Around 1 in 4 women develop fibroids at some point during their life, most commonly in women aged between 30 and 50. Intramural Fibroids - These are the most common form of fibroids and grow within the muscle tissue of the womb. Subserous Fibroids - This variety of fibroid is found on the outer wall of the womb. Submucous Fibroids - Submucous fibroids are only found on the inner wall of the womb. Pedunculated Fibroids - Unlike the other types, pedunculated fibroids grow on the outside of the womb and are connected by a small stalk of tissue. The exact reason why some women develop fibroids is still unknown. However, you are more likely to develop fibroids if your mother or other female members of your family have previously had the condition. High levels of oestrogen are also thought to be a contributing factor to the development of fibroids. In most women, fibroids will shrink after going through the menopause. However, waiting for this can be tedious when suffering intense pain. Levonorgestrel intrauterine system (LNG-IUS) is a small plastic device placed in your womb that slowly releases the Progestogen hormone levonorgestrel. LNG-IUS stops the lining of your womb from growing, in turn making the lining thinner and your bleeding lighter. Although highly successful at treating the condition, the surgery involved makes this procedure far from ideal. 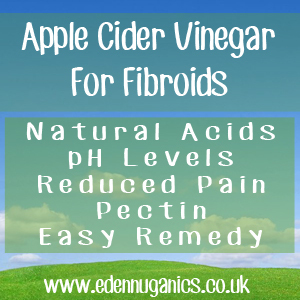 Fibroids - How can Apple Cider Vinegar help? 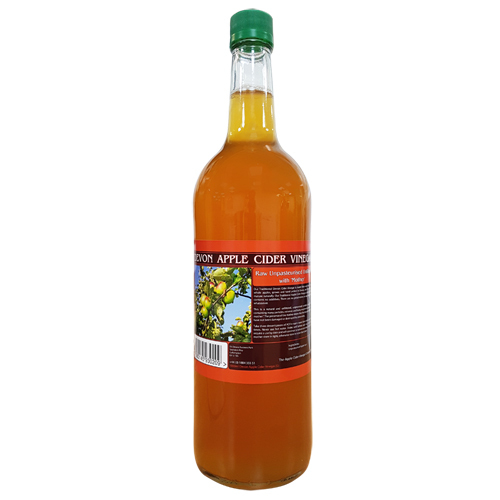 ACV is an extremely popular and oft used natural cure for fibroids in the uterus. 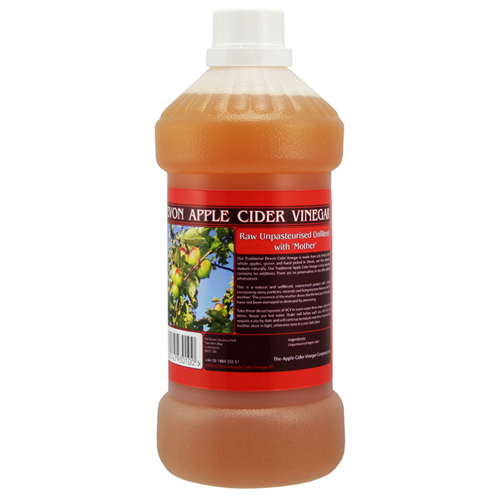 ACV is unique in the way it dissolves fibroids using natural acids that also help to balance internal pH levels. 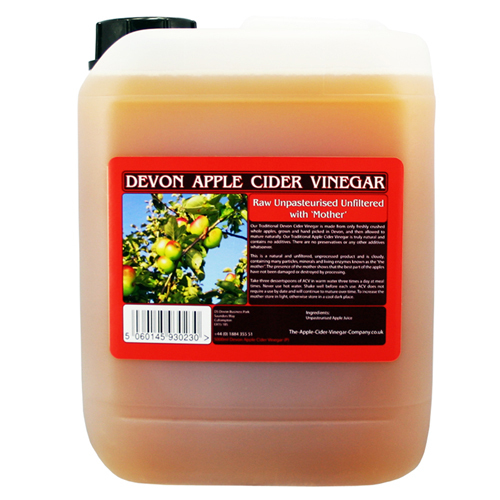 A small glass of water with a dash of apple cider vinegar every morning is all that's needed to combat these problematic and often uncomfortable swellings. 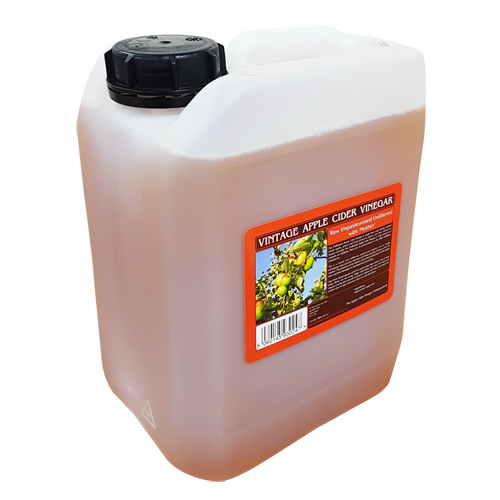 The trouble is that a lot of people seem to find apple cider vinegar tastes slightly too sharp and tart for their taste buds. To solve this problem simply mix in some raw honey before drinking it. If you want faster results, you can take the dose three times a day. Talking about my TTC routine and Apple Cider Vinegar! Drinking apple cider vinegar is a great way to combat fibroids but there are a number of additional changes that can be made to both diet and lifestyle that will help you avoid them returning in the future. More Water - This is one of the most essential changes you can make to your diet when suffering from fibroids. Water helps to flush toxins from our system and a good supply of fresh water will help to break down fibroids leaving you able to pass them naturally. Diet: Meat Reduction - Meat stays in our system much longer than fruits of vegetables, during this time it can release damaging toxins. While suffering from fibroids, it is a good idea to remove meat from your diet, replacing it with oily fish. This is because fish such as tuna, salmon and mackerel contain anti-inflammatory properties that help to calm swollen tissue. Herbs - Eliminating excess oestrogen will result in shrinking fibroids. Herbs such as dandelion, milk thistle, and yellow dock help to metabolize oestrogen from the body.